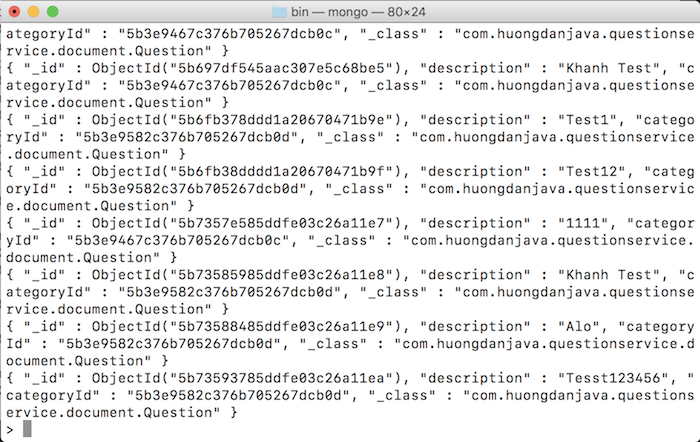 In the previous tutorial, we prepared all the necessary configurations to build API update a question such as: a Question document object containing the information of a question, a QuestionRepository for manipulation with MongoDB, a QuestionController defining the APIs for Core Question Service starting with “/question” and the connection information to the MongoDB server is configured in the application.properties file. Now, we are going to build this API! First, we need to check whether the question that we need to update does exist or not based on the id that the user is passing on. Then returning the new information of the question after updating the database with the HTTP status code of 200 OK. In case this question does not exist in the database, we will return the result of the HTTP status code is 404 Not Found. 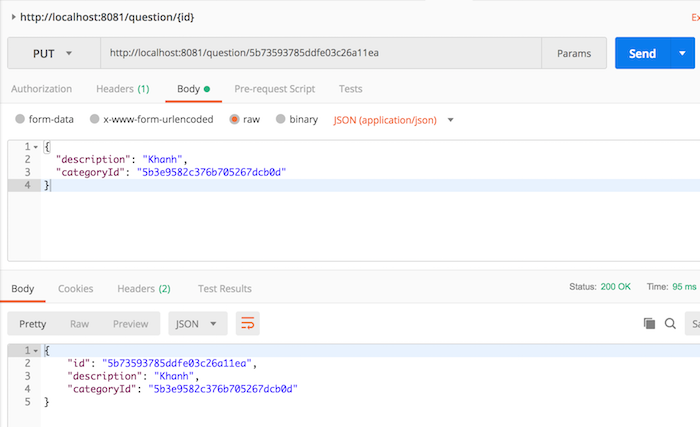 Now that we’ve finished building the API to update a question for the Core Question Service, let’s test it out.